Waze has installed a series of new Bluetooth beacons in NYC tunnels that permit accurate positioning for drivers using smartphones for real-time navigation. GPS signals generally don't reach into tunnels. 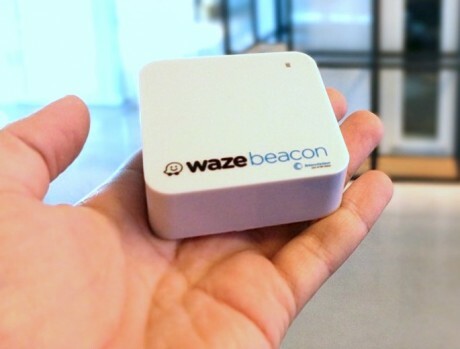 The Waze Beacons permit better functioning of Waze apps, as well as any other location-based apps, including Google Maps. Drivers need only ensure that their phone's Bluetooth is switched on to take advantage of the beacons. The Waze app will prompt users to activate Bluetooth when driving a route that includes a beacon-equipped tunnel. The NYC installation includes 313 beacons installed in the Queens Midtown and Hugh L. Carey Tunnels. Google-owned Waze has installed over 3,000 such beacons in over 60 miles of tunnels, in cities including Chicago, Boston, and Pittsburgh. The beacons use Eddystone technology over Bluetooth LE (Low Energy), permitting 4-year battery life. Google today made Waze available within Android Auto. The new integration means those who prefer Waze to Google Maps can take advantage of Waze via their car's in-dash infotainment center. Waze recently partnered with more music services so people can access and listen to their favorite content while navigating between points. Waze partnered with Spotify last year, but announced an expanded media player within the Waze mobile app that works with seven new content providers. Google is now pushing an update to Google Maps that introduces its Google Assistant-powered recommendations. The updated version of Maps, announced last month, is more accurate and helpful. Apple hopes to improve its Apple Maps app and service by rebuilding them from the ground up with all new data. Apple launched Maps six years ago relying on data from third-party providers such as TomTom.